The Kristal 5 partition is custom designed, every project is followed and calculated for the best aestethic and acoustic realization. K5 is certified for soundproofing up to 38 dB according to the UNI EN ISO 10140-2:2010 and UNI EN ISO 717-1:2013 for the glazed partition. Its solid structure allowed to obtain also the resistance certification to impact with hard and soft body according to the UNI 8201:1981, an important goal for the security in the office. 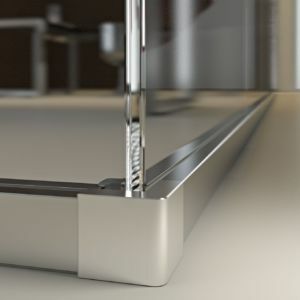 In the Kristal 5 doors, it is possible to have the magnetic lock. In the inner part it has been removed the internal and external gears of closing allowing to achieve greater smoothness and quietness during the opening and closing of the door, but it allowed also to operate on the product design by becoming the lock an integral element of the door itself. 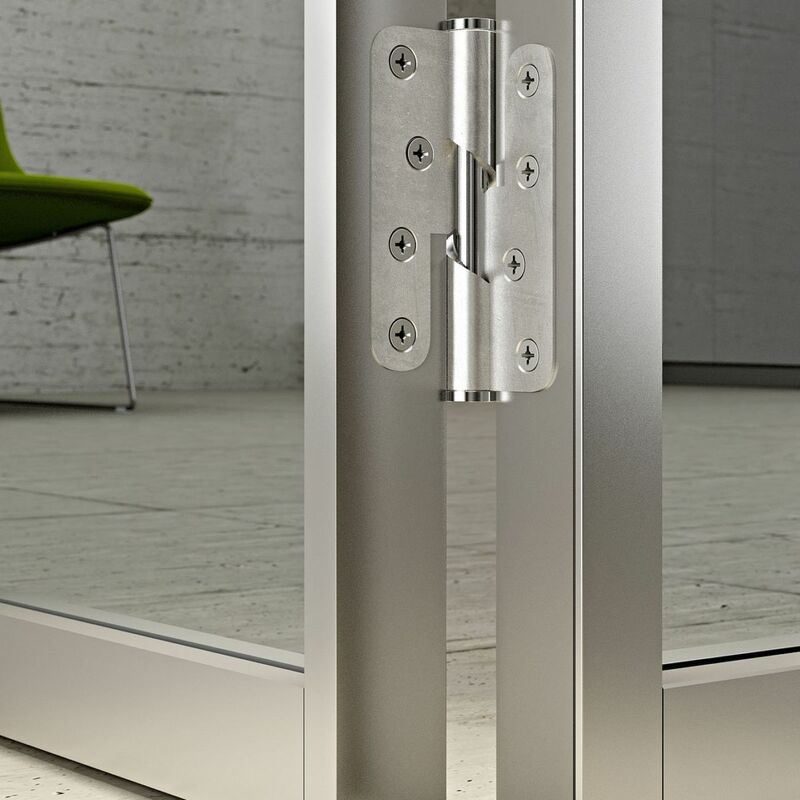 A great advantage is the cylinder which allow the management of the Master Key multiple and indipendent, meeting the needs of big enterprises with multiple access levels within their offices. 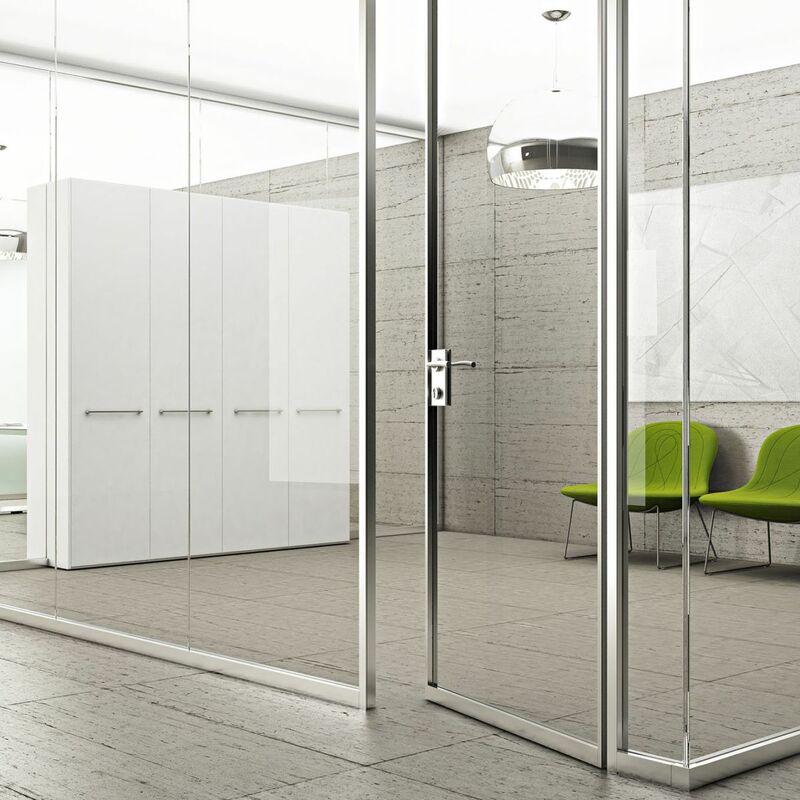 The Kristal 5 is a high performance partition which, thanks to the adjustement elements of the glasses to the floor, allows to absorb the different tolerability of the enviroments’ height. 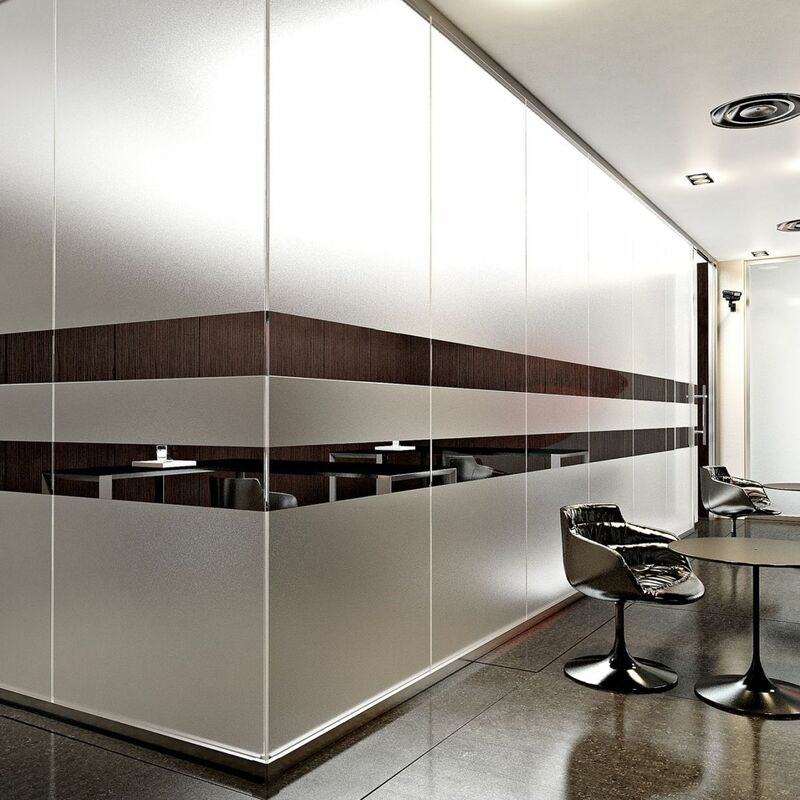 The partition can be provided with transparent, satin, striped satin glass. 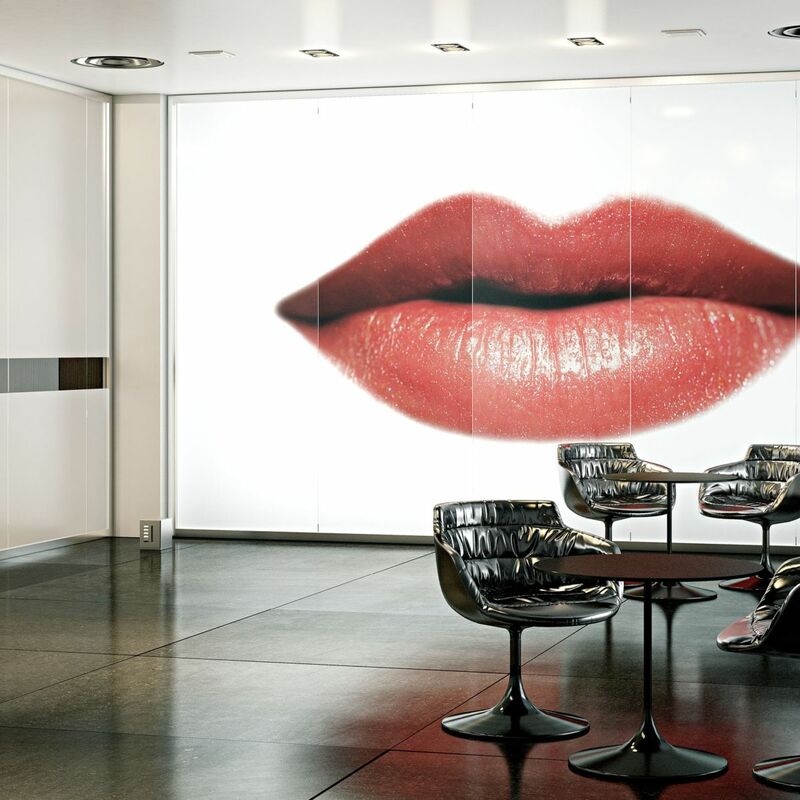 In addition to the standard model it is possible to customize them through the insertion of colored PVB inside of the glasses, by lacquering RAL or with the application of vinyl films. 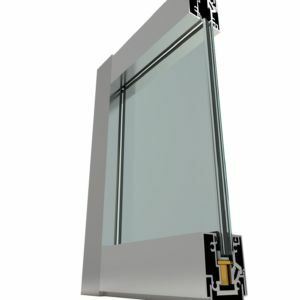 Available also in the framed version single or double glass, ideal for environments which is required a better soundoproofing. 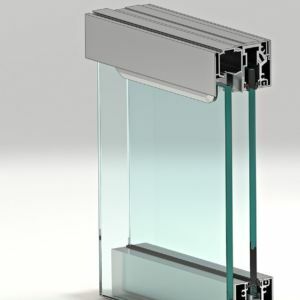 The sliding doors, both double and single, flow in the external part of the aluminum profile where there are not obstacles in the movement. 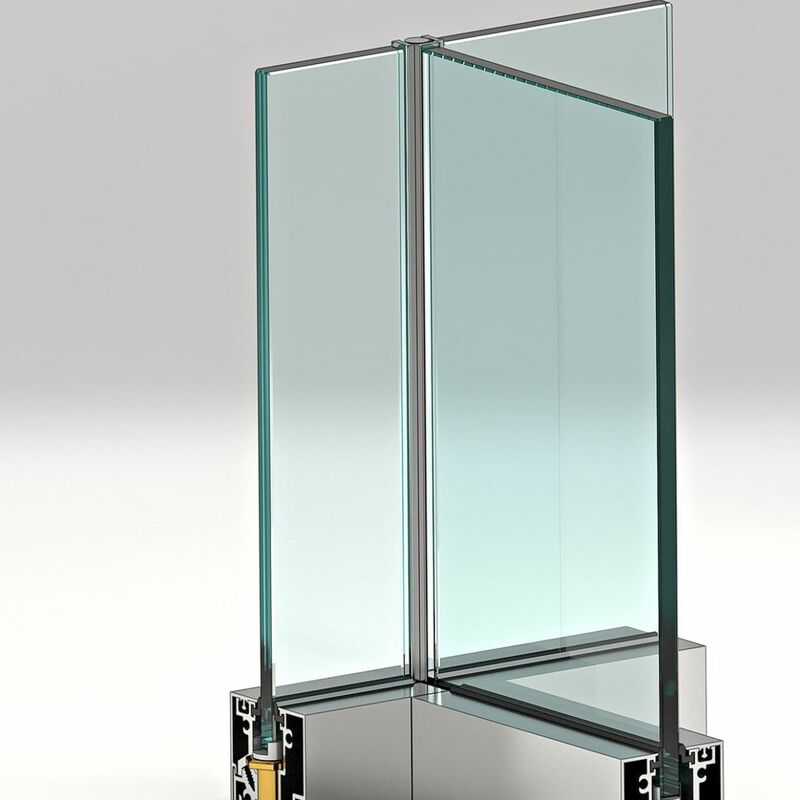 In all the sliding doors, both in wood and in glass, and in all the series, Wall System or Kristal, can be mounted the SLOW STOP SYSTEM, the special mechanism which slows the closing and the opening of the door and softly guide it on the jamb, without affecting the aesthetic of the doors without this accessory. The SLOW STOP system is integratable also on sliding doors previously mounted. On all Kristal doors it can be mounted the gravity self-closing hinge, which allows you to close the door automatically without the need for springs or adjustments. Kristal 10 is a monolithic wall with a thickness of 10 cm. It has brass regulators on the floor and perimetral adjusting frames. 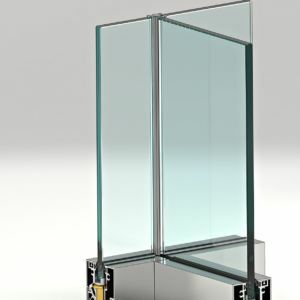 The stop-glass frames can be either rounded or square. 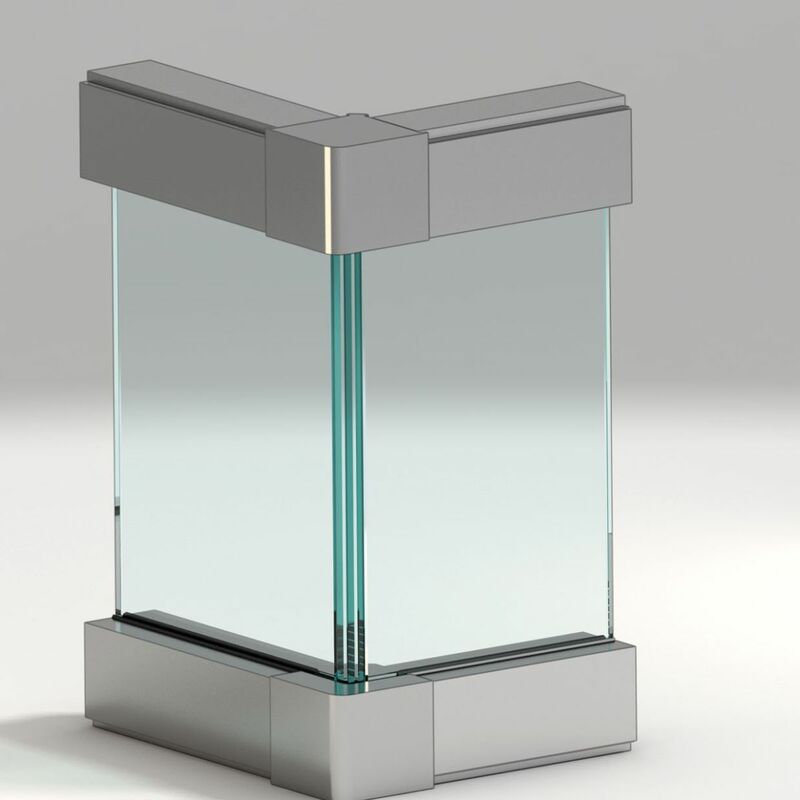 The Kristal 5 partition is the new Kristal realized by Arcadia, characterized by a unique design and by a high technological content. 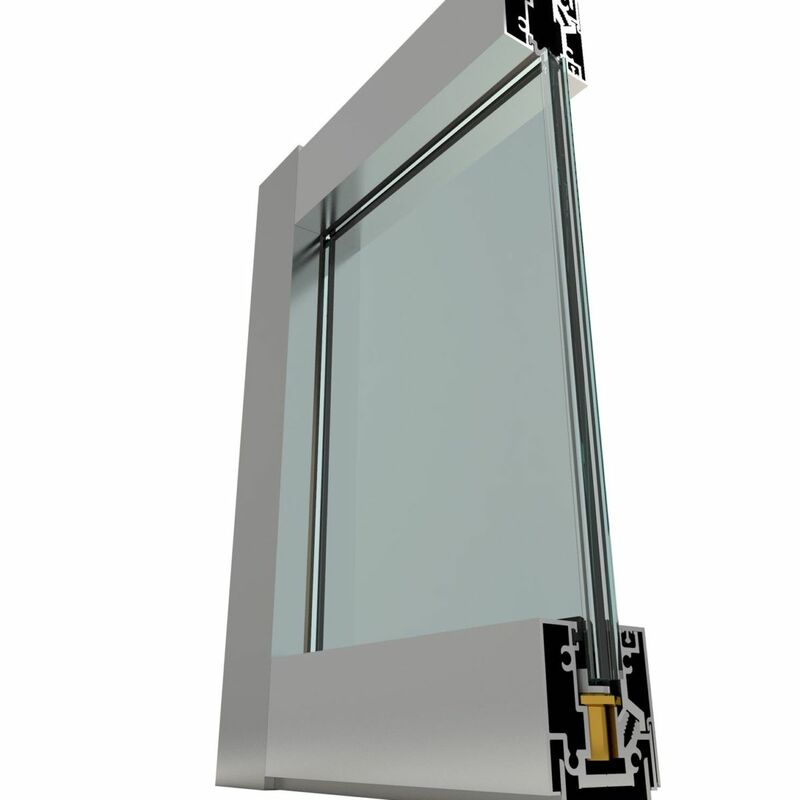 The single glass profile for doors and partitions ensures high sound-absorbing performance: certified up to 38dB. The frames are provided in the model Kristal 5 (L 50 mm H 50 mm) with panels or single glasses. The glasses are joined together by a profile that can be or in aluminum or in polycarbonate and are glued with a special double-sided 3M. Aesthetic. design and the accurate study that underlies it, makes Kristal the ideal way to built work innovative environments, as the special starting frames projected for the KWS juctions. To optimize and better improve the finishes, we have realized more than 70 drawing aluminum profiles. The hardware used is FULL IN METAL, this ensures the strength of the partition over the years, in addition to improving the aesthetic. 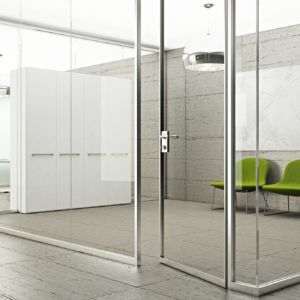 The Kristal partition can be mounted under a countertop without any upper reinforcements for the stability. 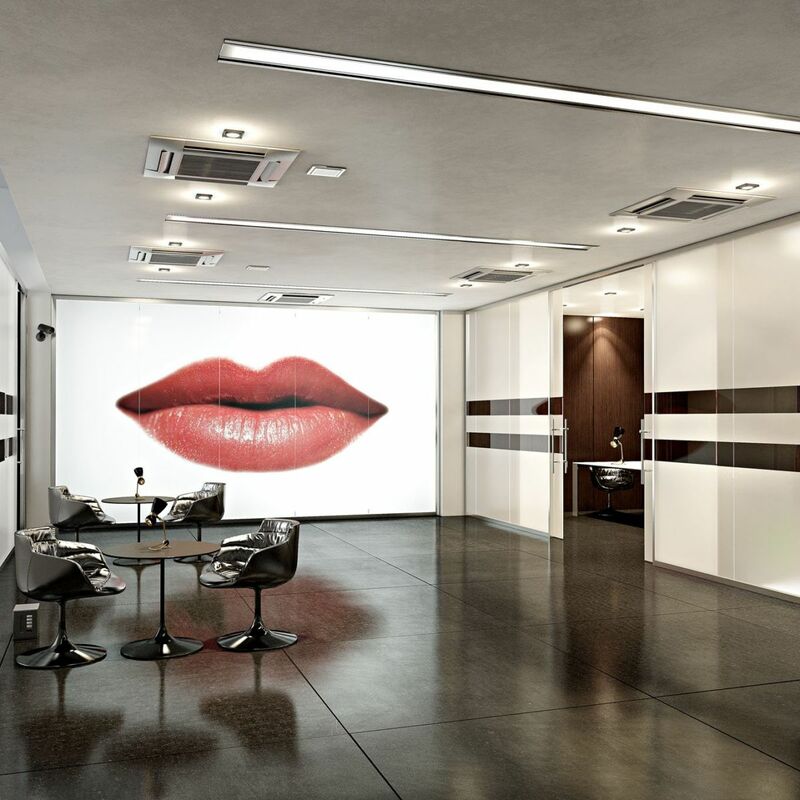 For the double sliding doors,it is necessary to provide to the upper part of the ceiling.